All the services you need,all in one place. 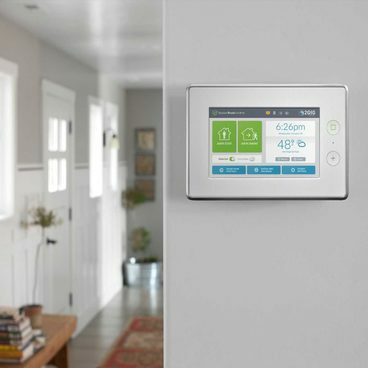 With every device in our lives getting smarter shouldn’t your home and business security system be smarter too? Stay on top of everything even when you can’t be there to make any adjustments in person. Secure Pro offers affordable Smart Home technology which gives you the ability to interact with your property from virtually anywhere in the world. Text and email alerts will let you know when there is any activity and allows you to control your alarm, cameras, lights, locks, thermostats, garage door, and a lot more… all from a secured connection on your phone, tablet, or computer. Secure Pro has the best of Smart Home solutions for any budget. With advanced interactive security solutions and the most reliable home monitoring services, Secure Pro can provide the equipment and services to increase your home’s IQ… and most importantly… your Peace of Mind. Our security systems provide a 24/7 dedicated cellular connection and backup battery power, so you can stay protected. Even if the internet is disconnected, the power goes out, or the phone line is cut, you can rely on our home security system to do its job. At Secure Pro, we put home security and smart home technology at your fingertips. Request a free consultation to discuss your needs with one of one our product experts today!